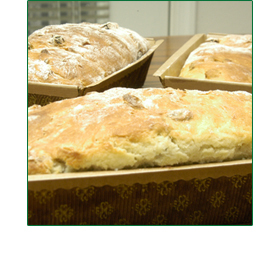 The recipe for O'Meara's Golden Raisin Bread has been handed down for many generations with various enhancements over the years. The family recipe started as a scone in the 19th century and morphed from soda bread to yeast bread circa 120 years ago. The current form of the bread is designed to accompany coffee or tea, complement poached eggs or to make delicious french toast. Customers have also been known to use our bread to make savory grilled cheese sandwiches. The bread contains no added preservatives and has a long shelf life because of its high moisture content - it can also be stored in the freezer and will retain its taste and consistency. 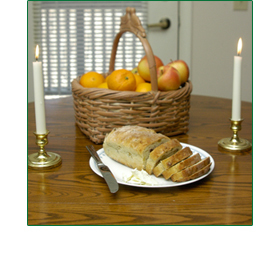 "I fondly recall my mother serving an early iteration of the bread in the mornings before school. I learned the recipe from my mother in the 1980s and I've made slight refinements over the years. Customers often exclaim "that bread is addictive, where can I get more?!" For this reason we have decided to share a piece of our heritage with everyone. 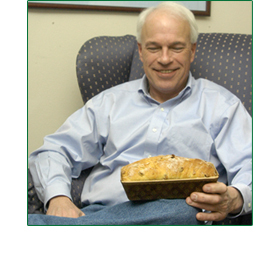 We hope you enjoy our bread as much as we have over the years."